California Welding Contractor Insurance. Welding contractors join two pieces of metal together by melting parts of the pieces and adding a filler material that cools to unite them into one jointed piece. The five different welding processes are arc welding, gas welding, resistance welding, energy beam welding and solid-state welding. The one most frequently used by welding contractors is gas welding. The others are typically used in industry for high-speed, precision welding done by employee welders. Welding can be done at the welder's shop premises, where customers bring the property to be welded, or at off-site locations. As with any industry, there are risks involved, especially if you own a welding firm. To keep your workers and your business protected it's best to have the right insurance policies in place. Get the California welding contractor insurance coverage that will keep you and your business protected. California welding contractor insurance protects you and your truck from lawsuits with rates as low as $97/mo. Get a fast quote and your certificate of insurance now. A lawsuit against your company can turn out to be expensive. Having liability insurance gives you coverage for legal defense fees, court fees, and any financial damages. If you don't have this type of insurance, you put your business in a position to lose everything. 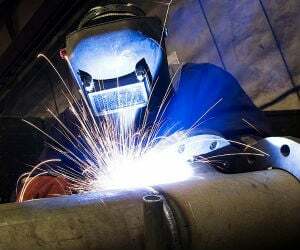 Protecting your business assets by having California welding contractor insurance is important. Workers' Compensation : Working as a welder means you are at risk of being injured. As a welder, you may be working outside or on scaffolding. Wherever it is protection is important. With all of these risks, there's a higher chance of injury. 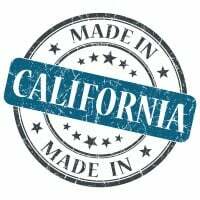 This simple fact means you must keep your business protected with the right California welding contractor insurance. Request a free California Welding Contractor insurance quote in Alameda, Alhambra, Anaheim, Antioch, Apple Valley, Bakersfield, Baldwin Park, Bellflower, Berkeley, Buena Park, Burbank, Camarillo, Carlsbad, Carson, Chico, Chino Hills, Chino, Chula Vista, Citrus Heights, Clovis, Compton, Concord, Corona, Costa Mesa, Daly City, Davis, Downey, El Cajon, El Monte, Elk Grove, Escondido, Fairfield, Folsom, Fontana, Fremont, Fresno, Fullerton, Garden Grove, Glendale, Hawthorne, Hayward, Hemet, Hesperia, Huntington Beach, Indio, Inglewood, Irvine, Lake Forest, Lakewood, Lancaster, Livermore, Long Beach, Los Angeles, Lynwood, Manteca, Menifee, Merced, Milpitas, Mission Viejo, Modesto, Moreno Valley, Mountain View, Murrieta, Napa, Newport Beach, Norwalk, Oakland, Oceanside, Ontario, Orange, Oxnard, Palmdale, Palo Alto, Pasadena, Perris, Pleasanton, Pomona, Rancho Cordova, Rancho Cucamonga, Redding, Redlands, Redondo Beach, Redwood City, Rialto, Richmond, Riverside, Roseville, Sacramento, Salinas, San Bernardino, San Buenaventura, San Diego, San Francisco, San Jose, San Leandro, San Marcos, San Mateo, San Ramon, Santa Ana, Santa Barbara, Santa Clara, Santa Clarita, Santa Maria, Santa Monica, Santa Rosa, Simi Valley, South Gate, Stockton, Sunnyvale, Temecula, Thousand Oaks, Torrance, Tracy, Turlock, Tustin, Union City, Upland, Vacaville, Vallejo, Victorville, Visalia, Vista, Walnut Creek, West Covina, Westminster, Whittier, Yorba Linda, Yuba City and all other cities in CA - The Golden State.